One of the eminent personalities of Hulftsdorp Hill would have celebrated his 60th birthday tomorrow if he had been alive. K.C. Kamalasabayson, PC was always respected and will continue to be remembered not only as a distinguished Attorney-General of this country but also a sincere and genuine friend who was popular because of his simplicity and integrity. In the late 60s I had come to know ‘Sabayson’ - of course some friends called him ‘Saba’ or ‘Kamal’ at the Ceylon Law College (Sri Lanka Law College was then known by that name) as he was two years junior to me. I still remember that when ‘Sabayson’ and I participated in a Tamil impromptu oratorical contest I could not match his humorous manner of addressing and I told him (even before the results were announced) that he had won the heart of the female Chairman of the Panel of Judges who enjoyed Sabayson’s humour. Later, both of us had to sit together in a panel and interview Tamil medium candidates who missed the Law College Entrance. Of course, then we had no disagreement between both of us. He was the Head of the Official Bar for seven and half years. He never ‘lost his head’ because of his humility. He always consulted his juniors and encouraged free discussion and took considered decisions. Thus, he did not demand respect but commanded respect as pointed out by A. Gnanathansan, PC, (then Deputy Solicitor General and now Additional Solicitor General) who spoke on behalf of his colleagues when they bid farewell to Sabayson when the latter retired in April 2007 from the office of Attorney-General. He devilled in the Chambers of the late G.F. Sethukavalar, PC, and his brother late K.C. Kamalanathan. I came to know Sabayson more closely at Sethukavalar’s Chambers. He continued to be a keen student of law. In August 1974, he joined the Attorney-General’s Department and rose to be a Senior State Counsel in 1983 and as a Deputy Solicitor General in 1992. In 1996, he was appointed the Additional Solicitor General and took silk in the same year. Having become the Solicitor General on December 1, 1998, he succeeded S.N. Silva, PC as the Attorney-General on October 15, 1999. “Kamalasabayson was a great lawyer, a great teacher and an equally great administrator, and above all he was a great human being. As a lawyer he maintained the highest professional standards. These words in fact echoed the views of Sabayson’s colleagues at the Bar. No one expected that he would bid farewell to this world on August 12, 2007. When the BASL published the 2007 issue of the Bar Association Law Journal, I sought the permission of the Bar Council to dedicate it to Sabayson and my proposal received the unanimous approval. In fact, every one felt that, that was one way we could share the sorrow of his beloved wife Ramani and loving daughter Vidhya. 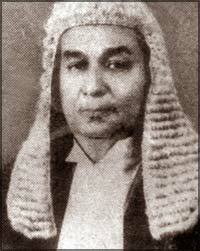 In conclusion, I would like to quote what another contemporary of ours at the Ceylon Law College in the 60s said in his funeral oration on August 16, 2007 in his capacity as President of the Bar Association of Sri Lanka Nihal Jayamanne PC. “The condiment of life is death”.